At Clif, they’re passionate about food. Food that feeds and inspires adventure in all of us. 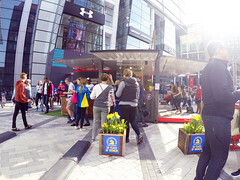 To spread that message, they needed a mobile activation that spoke to their athletic roots, and love for the outdoors. 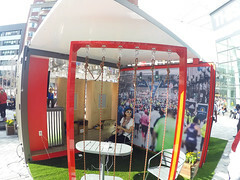 With this year’s Boston Marathon in mind, we got to work designing a stand-out structure that would draw in racers, and spectators for a singular experience and maybe a little snack. 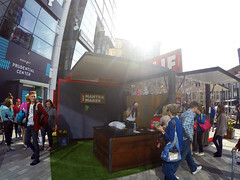 Because of the crowd’s density, we knew we would need to give this activation some height, and enough cool-factor to match. 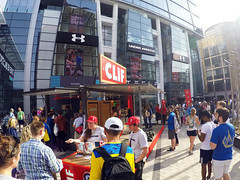 To elevate the Clif brand, we first had to ‘elevate’ the Clif brand. 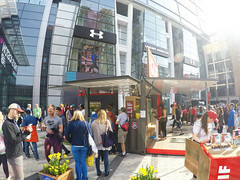 Large, bold signage on top of the structure offered race participants and attendees a wayfinding marker. 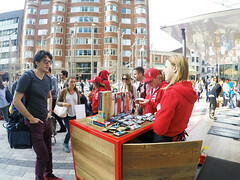 Utilizing a purpose-built structure for the container, and reclaimed barn wood from a local vendor, the activation was the perfect blend of old-school esthetic and clean, modern lines. Hand-crafted in our warehouse, planter boxes were built to showcase indigenous flowers at each activation and workstations for sampling were created from remaining barn wood. 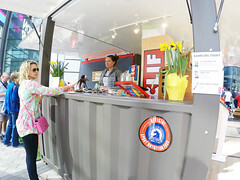 Solar panels helped to power the charging station, lighting, and an augmented reality portion of their event. 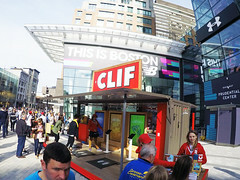 Thanks to their large signage, you could pick the Clif activation out of a crowd. With nearly 3,000 runners and 500,000 spectators, that’s no small feat. The stunning finish work and attention to detail made it a successful build. 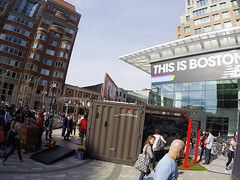 However, Clif’s core beliefs, messaging, and programming are what made this event a stand-out for Boxman Studios. 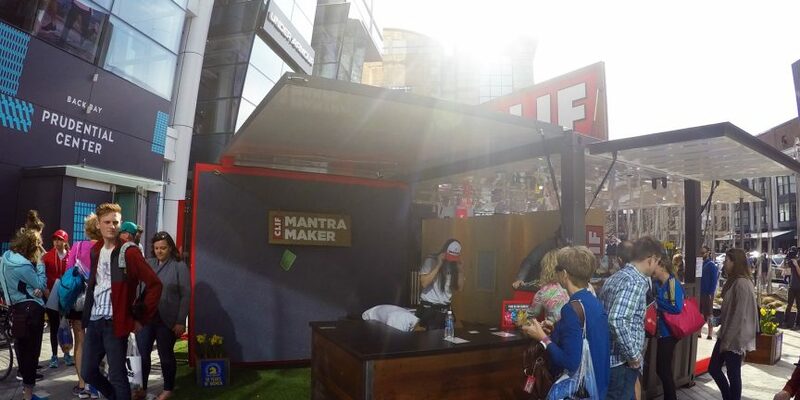 We’re so grateful for the opportunity to work with Clif Bar, and we’re excited we helped some tired marathoners feed their adventure!